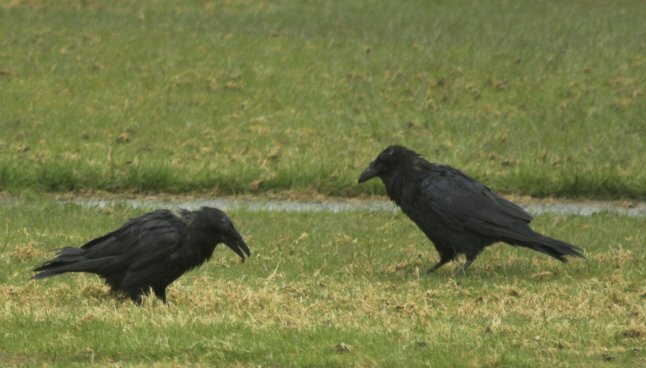 The ravens have been foraging on the campus lawn a lot this spring. I do not remember noticing this going on so late in the year previously. Perhaps they normally move upland, but the cool spring has kept those places less suitable so far.